A bedside monitor for 1 patient. A standalone HeRO monitor for every bed. A bedside monitor for 2 patients. A standalone HeRO monitor for 2 infants. 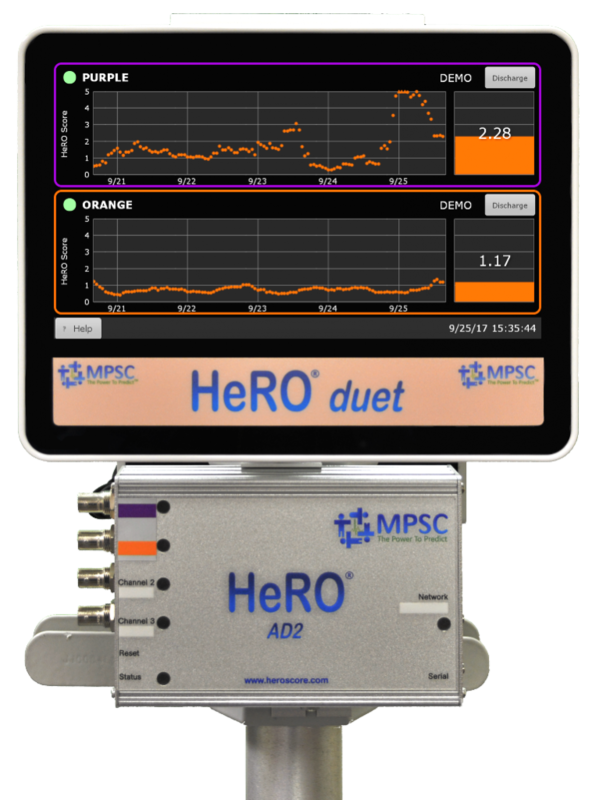 HeRO is now available as a bedside monitor,either as a single patient solution with HeRO solo or as a two patient solution with HeRO duet. A stand-alone HeRO monitor for 1- or 2- NICU beds. Simple to install – 2 power cords and either 1 or 2 monitor connect cables. Tabletop mounted on a flat surface. NEW – USB Data Export – an optional upgrade to export data to a USB flash drive. Like the other members of the HeRO Family. 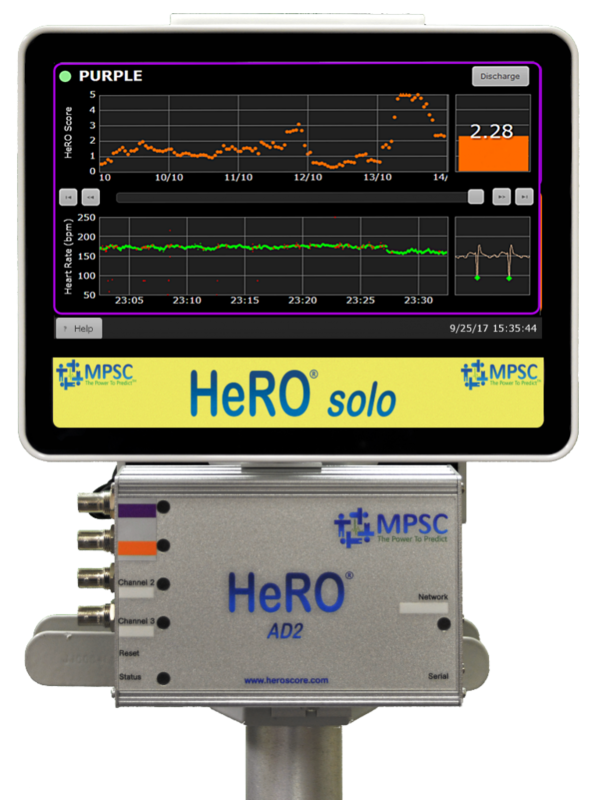 HeRO solo and HeRO duet work with your existing physiological monitors utilizing the proven HeRO algorithms. Please refer to the Products page for a comparison between the HeRO products to understand how each differs.